This step-by-step guide is about how to download videos from YouTube directly for FREE with 4Media Download YouTube Video. 1. 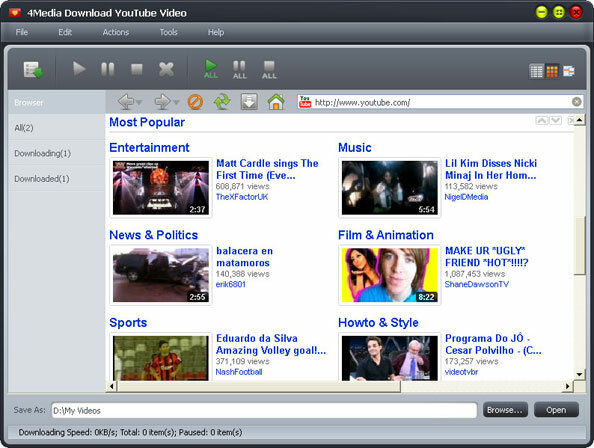 How to Download Online Videos in the Embedded Web Browser? 2. 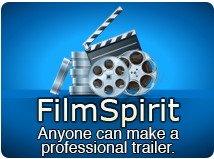 How to Download High Definition Online Videos? Before you start, please download, install and launch 4Media Download YouTube Video. This is the first interface after launch. 2. Right click the YouTube video thumbnail or URL, and select "Download with 4Media Download YouTube Video" option from the right-click menu, then the "New Download" dialog appears, and the video URL is automatically added into the "URL" textbox. Adjust the "Destination" and "Start Task" options in the "New Download" dialog above. If you set the "Start Type" option as "Start Now", then the selected video will be promptly downloaded and saved to the folder you set in the Step 3. Click "Tools > Settings" option from the main menu to open the "Settings" window, then click the "Task" tab and set the "Destination" and "Start Task" options in the "Task Default Configuration" area according to your own needs. If you set the "Start Type" option as "Start Now", then the selected video will be promptly downloaded and saved to the folder you set in the Step 1. 4. If the "Start Type" option is set as "Manual", then before you start the new task, you can change the destination and format freely. How to Download YouTube Videos in the Embedded Web Browser? How to Download High Definition YouTube Videos? You are free to choose the resolutions of videos and download YouTube HD videos to local computer. 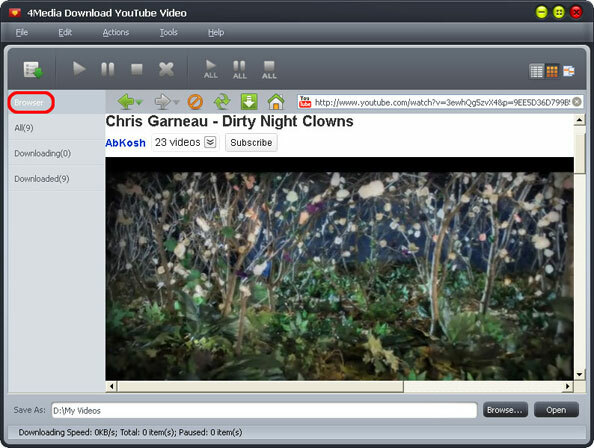 Preview a HD video in the embedded web browser. During the preview, click "Resolution" button and select needed resolution in the menu. Click on the "Download" button on the toolbar to create the downloading task and start downloading HD video.